The Bride Room is so excited to participate in the upcoming Celebrate! 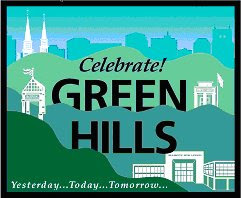 Green Hills activities!! Stop by for an assortment of bridal and bridesmaids dresses deeply discounted! Bridal gowns from $299 and bridesmaids dresses from $25!!!! Come early and come often....the deals (and cupcakes!!) won't last!!! See you then!!! June isn't the only month!